Year 4 and Hope’s alive in Belper! This year for some might already feel gloomy and even hopeless, with job losses and financial hardship. However, the opportunities to practically love our neighbours as ourselves, have never been so numerous. The Basic Idea has been going for two years now and has helped over 100 families get through tight financial circumstances. Right at the moment we are short of one very simple thing – delivery boxes! Most offices have piles of these everywhere, so we’d be very grateful if you could drop by with one or two from time to time… the food store is open from 3:00 pm till 4:30 pm on the fourth Sunday of each month (excluding this April as it happens). Simply go down the side of Boots the Chemist and ring the Basic Idea bell by the white side door next to Hacketts Bar – we may take a few moments to open up, so please be patient. If you want to know more about the project, go to ‘THE BASIC IDEA’ page. 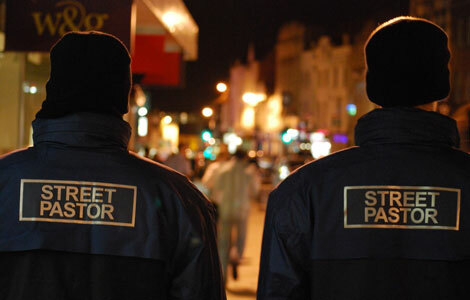 You may also be interested to know that Hope for Belper are looking at working with the Police and the Town Council to provide some practical help and a listening ear on the streets on a Friday night through the national Street Pastors initiative. Research is at an early stage, but if you would like to know more then go to ‘Street Pastors’ – alternatively, if things start to move positively on this project we will put further info on the projects page through the year. Author ggandhgPosted on April 12, 2011 January 26, 2019 Categories GeneralLeave a comment on Year 4 and Hope’s alive in Belper! Welcome to the weblog for Hope 08 Belper. Here you will be able to read about everything that’s happening locally as part of this national initiative designed to demonstrate God’s love for our towns, villages and communities by providing practical help for those around us. We hope you will not only become a regular visitor here, but also that you will feel inspired to get involved yourself in one or more of the projects we are planning. You may even want to help put together a new project! A list of ideas can be found here on our Go for it! page. At our Projects page you will find listed all the activities that are being planned in Belper for the forthcoming year. More information about what Hope 08 Belper is all about can be found here. On this site you will also be able to check out what is happening in Hope 08 nationally and also within the wider Derby Diocese. Finally, we would welcome your feedback both on this site and on Hope 08 Belper as a whole. You can leave your comments on this post below, or go to our Contact Us page.